A gladiatorial display by Phil Beal for his new club Brighton, against Rotherham, was loudly acclaimed by the supporters who revelled in the strength and guile the ex-Spurs player had brought to their side. The immensely experienced Beal had wielded a pattern of play that sent the supporters home humming happily, relishing the 3-0 win and calculating the prospects of the new season. Beal went home happy too: “It’s a great feeling to have a crowd behind you like that. Their reaction impressed me just like everything else did when I visited the club for the first time to meet manager Peter Taylor. “I knew nothing at all about the club and, to be honest, I thought it might be a tin-shed type of place. What an eye-opener it turned out to be! “I had imagined the Third Division to be a big step-down, not just in terms of football but in everything else too. But I found they had new offices, new dressing rooms and medical rooms and when they travel they go first class, stay in first class hotels and even use the same coach company as Spurs. “The set-up is easily as good as many First Division clubs. The pitch, for instance, is a nice size and allows you to make room to play. Some pitches are tight and cramped but not at the Goldstone Ground. I was a new manager and a few of the senior professionals tried to ‘find me out’. 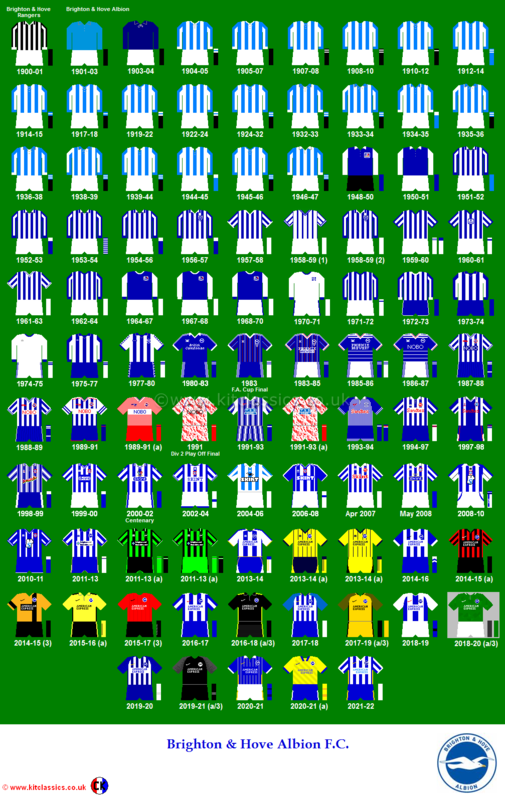 I had played in the same Spurs side as Joe Kinnear and Phil Beal and couldn’t believe the money they were earning at Brighton in the Third Division. Brian Clough and Peter Taylor, who had managed the club together for a short period, had given some of the senior professionals amazing signing-on fees. Kinnear was one and I got the impression that he and one or two others had gone to Brighton to take the easy way out. They had been enticed away from big clubs with massive signing-on fees between £5,000 and £20,000. 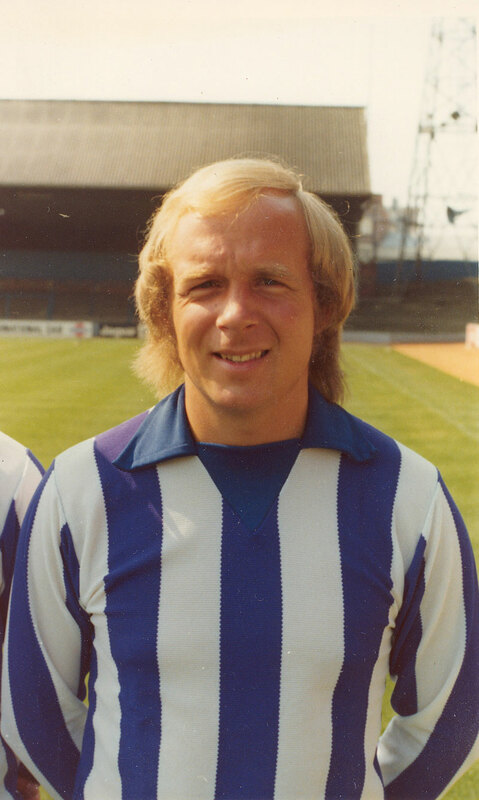 After his storming game against Rotherham on the opening day of the 1975/76 season, Beal lost his place at the start of September under Peter Taylor, making just eight League appearances. Under Mullery, the following season, he played just one League match although he did figure as right-back in the famous League Cup win against Ipswich at the Goldstone. 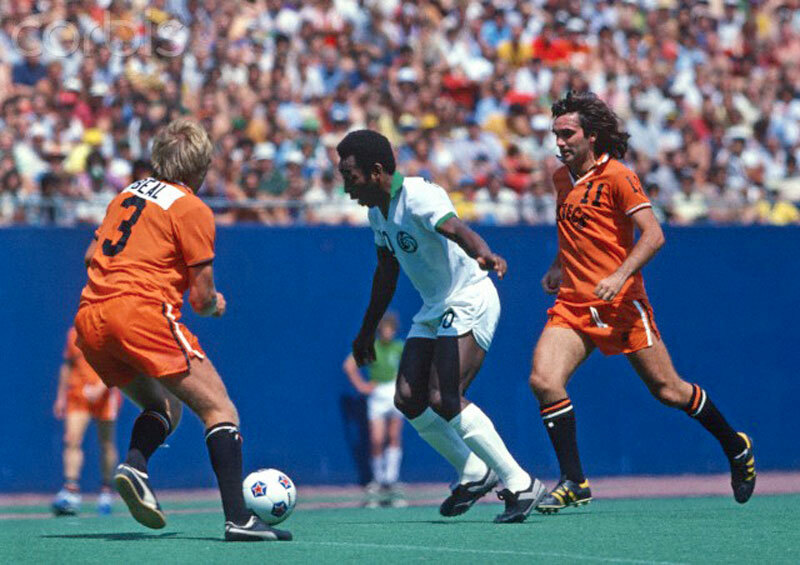 And then, after being much more accepting of Mullery’s axe than, say, Kinnear, Beal was off …to the United States for spells with Los Angeles Aztecs and Memphis Rogues. For the Aztecs, here he is using all the know-how he learnt at the Goldstone to try to take on Pele.